Scientists from the Florida campus of The Scripps Research Institute (TSRI) have developed a new drug delivery method that produces strong results in treating cancers in animal models, including some hard-to-treat solid and liquid tumors. The study, led by TSRI Associate Professor Christoph Rader, was published March 16, 2017, online ahead of print in the journal Cell Chemical Biology. 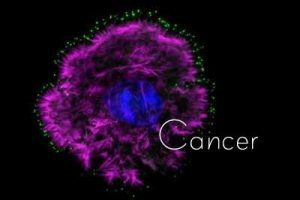 The new method involves a class of pharmaceuticals known as antibody-drug conjugates (ADCs), which include some of the most promising next-generation antibody therapeutics for cancer. ADCs can deliver a cytotoxic payload in a way that is remarkably tumor-selective. So far, three ADCs have been approved by the U.S. Food and Drug Administration (FDA), but neither attaches the drug to a defined site on the antibody. Antibodies are large immune system proteins that recognize unique molecular markers on tumor cells called antigens. On their own, Rader noted, antibodies are usually not potent enough to eradicate cancer. However, their high specificity for antigens makes them ideal vehicles for drug delivery straight to tumor cells. The researchers plan to investigate similar ADCs going forward. Rader, along with TSRI Professor Ben Shen, was recently awarded $3.3 million from the National Cancer Institute of the National Institutes of Health to test highly cytotoxic natural products discovered in the Shen lab using selenomabs as drug delivery vehicles.